What Type of Benefit Plans Does Health Risk Offer? 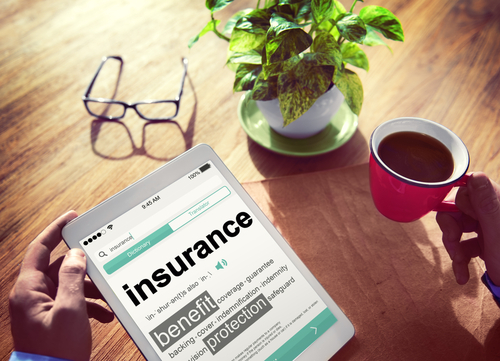 Is your company looking for an insurance benefit plan provider? Have you explored the many flexible options available from Health Risk Services? If not, you should take some time today to explore some of the benefit plans offered by Health Risk. At Health Risk Services, our benefit programs are uniquely designed to meet company’s specific needs and provide fundamental support to employees so that they can remain focused on solving workplace issues and contributing to the overall productivity of your company. These types of plans allow the customer to be reimbursed for eligible medical and dental expenses that otherwise would have to be covered by the individual’s after-tax income. In most scenarios, a cost plus account would replace an existing medical or dental plan. Cost plus accounts can be a single component of your flexible benefit plan, or it can be used to complement a more traditional group insurance policy. Cost plus accounts are a great way to offset expenses that aren’t covered by the rest of your plan. This feature of our services is designed to cover sudden, unexpected, and unforeseeable circumstances that necessitate emergency treatments. This can include hospitalization, emergency surgery or dental work, transportation costs, and the recovery or return of personal possessions. Travel insurance essentially provides coverage for healthcare services in regions that fall outside the jurisdiction of your local or provincial insurance plan. Without emergency travel insurance, you and your family could be responsible for covering the high costs of emergency care. In addition to our flexible benefit programs, we also offer a few more traditional coverage options. We have designed our traditional plans to meet your business’ specific requirements and satisfying the varying needs of your employees. In order to incorporate a high degree of flexibility while also limiting cost, we give you choices that help us meet your specific needs. Our plans include options for group, business, or personal investment, while also providing insurance coverage and benefit options. Our Private Health Services Plans are designed to give self-employed individuals and small business owners, as well as larger organizations with several key employees another method for securing medical and dental benefits. These plans are also quite flexible, as you are able to determine the exact extent of the coverage you, and your employees, require. A PHSP can consist of Cost Plus Plans, Health Spending Accounts, a Traditional Plan or any combination thereof. When it comes to designing comprehensive benefit programs for a company of any size, it can be difficult to find a plan that provides the specific types of coverage needed to take care of all your employees unique health needs. If you’re looking for a company that can design custom benefit plans that work for employees and employers alike, please don’t hesitate to contact the professional team at Health Risk Services at 1-403-236-9430 today!